There aren’t many reptiles that do well in screen cages. Chameleons are the main species that must be kept in one of these cages due to their ventilation needs. If you’re interested in a species that needs a screen cage though, it’s a pretty good idea to build your own. It can be customized the way you want it in terms of size. It’s also cheaper than buying one of the pre-built ones. There are some steps you need to go through before just building your own cage though. First, you need to know the space requirements for the lizard you want. What’s the point of building a cage if it’s too small? If possible, find some screen cages to look at for inspiration. It can really help with your own build when you can examine exactly what it is your building. There are plenty of examples on the internet to help give you ideas. Another thing you should research are the potential materials for your cage. Things like lumber boards, screen material, and so on. Find something you like and write it down so you can find it again later. Okay, you’ve done all of your research and your ready to put this thing down on paper. Using the space requirements you found for your reptile, it’s easy to figure out the dimensions for each side. Keep in mind that since this is a screen cage, we won’t be using anything like plywood sheets. To make this part a bit easier, I’m going to give you a look at a cage build I’ve been working on. I will need more screen cages when my new reptiles give birth. The species I have requires a screen cage of 20″ x 20″ x 36″. First, we will look at the easiest panel we need – the top. Since the cage is 20″ in length and width, all I need to build the top panel of the cage are four 1″ x 2″ x 20″ boards. These will be screwed together and then have the screen stapled on to create the top. The bottom panel is exactly the same so it would also need four boards of the same length. Pretty easy, right? These two sides are also pretty easy to plan out. The cage is 20 inch width and 36 inch height. So for each side, we would need two 1″ x 2″ x 20″ boards and two 1″ x 2″ x 36″ boards. Because these boards connect to the top and bottom on the outside, we don’t need to worry about subtracting the thickness from the height or width. Still easy, but it gets slightly more annoying to plan from here. The back panel is all on its own for my specific plan. You can make the front and back panels the same size if you want a door that is the entire length of the cage. So let’s start off with the same measurements as the right and left side, 20 inch width and 36 inch height. However, the back piece will go between the left, right, top, and bottom sides. Because of this, we have to subtract the thickness of the boards it goes between in order to make it fit properly. The boards I’m using have a thickness of 0.75 inches. So, the height of the back will be 36 inches minus 1.5 inches for the thickeness of the top and bottom boards. This equals out to 34.5 inches. We do the same for the width, which comes out to 18.5 inches. The back piece will need two 1″ x 2″ x 34.5″ boards and two 1″ x 2″ x 18.5″ boards. Like I said earlier, I don’t want a door that is the length of the cage in my plan. So I will need a piece that fits in the front bottom of the cage. Personally, I want it to be 10 inches tall. For this one, I will subtract the thickness of the left and right sides, but I will only subtract the thickness of the bottom and not the top. This is because this bottom piece does not touch the top. For a 10 inch tall panel, I will need two boards that are 9.25″ in length, because the thickness of the bottom alone is 0.75 inches. The thickness of the two sides combined is still 1.5 inches, so the width will be 18.5 inches. To sum it up, the front bottom will need two 1″ x 2″ x 9.25″ boards and two 1″ x 2″ x 18.5″ boards. Last but not least, we have the door. Using the information from our previous panels, this should be easy to figure out. Since the bottom panel is 10 inches in height, the top will need to be 26 inches. Minus our 0.75 inches for the thickness of the top leaves us with 25.25 inches in height. The width will be the same for both panels. So we need two 1″ x 2″ x 25.25″ boards and two 1″ x 2″ x 18.5″ boards. It can be a bit much to keep up with if you are like me. Honestly, typing this whole plan out has helped me fix some of my measurements. When you make your plan, check and double check your measurements. There is nothing worse than figuring out you were off after you’ve already put your panels together. Personally, I think the planning stage is the most difficult. That’s only because it allows us to finish out project relatively easily. All you need to do now is get all of your required materials together and follow your plan. Create the wood frames using the boards, attach the screen materials, and then connect the boards. Don’t forget to add in some kind of lock to keep the door closed. That’s basically it for this stage. One thing you may want to do before connecting the boards is to coat your lumber in either oil-based polyurethane or polycrylic. This will make the wood more water-resistant, which is some you definitely want. The one downside to polyurethane is the cure time. You can’t use wood that’s not fully cured, you don’t want your reptile getting sick from the fumes. It can take up to four weeks for polyurethane to cure properly. 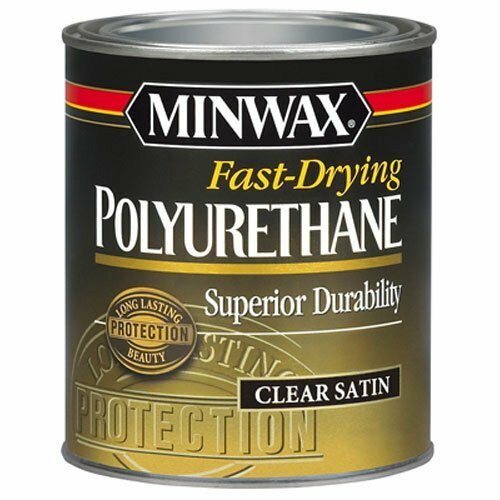 Polycrylic takes a bit less time, but it’s not quite as water-resistant. If you’re looking for a fun little project, building a screen cage can definitely be one. It’s cheaper than purchasing a pre-made cage, which is great if you have a lot of screen cage reptiles. If you don’t care about the money though, it’s faster to just buy one. For my new reptiles, I purchased a Zoomed Reptibreeze. For their babies though, I will be using this plan to build my own cages. I hope this wasn’t too confusing. Please let me know if you have any questions in the comments below! 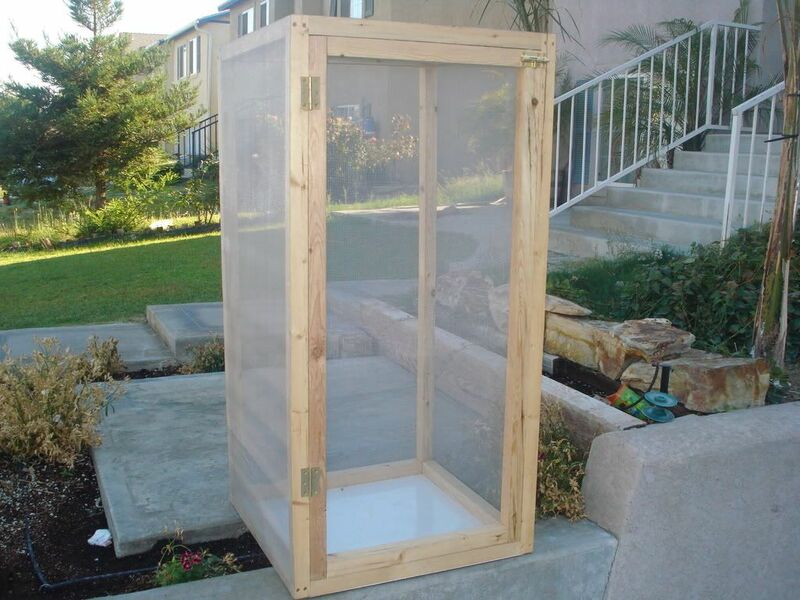 How To DIY Screen Cage, How To, Reptile Screen Cage, Screen Cage. permalink. Breeding Reptiles: Is It A Good Idea For You?